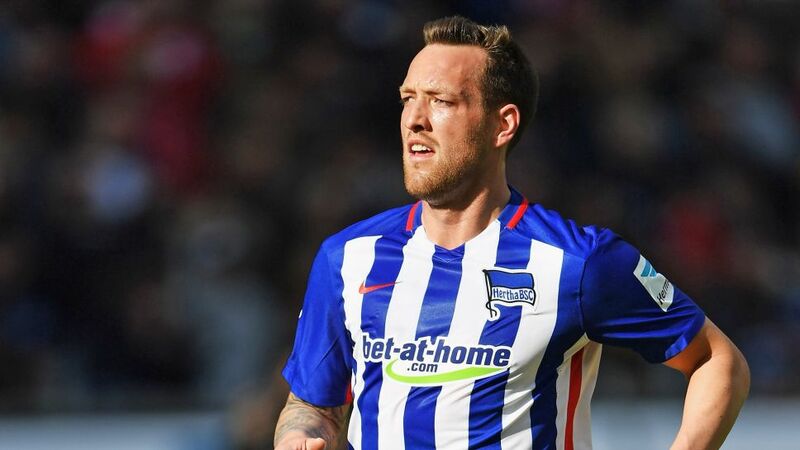 Julian Schieber is hoping Hertha Berlin can upset the applecart when the Old Lady face Borussia Dortmund on Friday night (kick-off 20:30CEST/18:30GMT). bundesliga.com: Julian Schiber, on Friday, Hertha face a blockbuster trip to Dortmund. You spent two seasons at BVB. What did you take from your time at the club? Julian Schieber: I have fond memories of my time at BVB. There were some fantastic moments that will stay with me for the rest of my life, and that I enjoy looking back on. I was proud to play for Die Schwarz-Gelben because it's a football-crazy region. The fans are superb and it's a great stadium. Now I'm at Hertha and very happy here. Dortmund will pass an historic milestone on Friday night - read more here! bundesliga.com: You missed almost the entire 2015/16 season with cartilage damage, before making a few fleeting appearances towards the end of the campaign. What goals did you set at the start of the season and to what extent have you already achieved them? Schieber: The overriding goal I set myself for the new season was to win. After six matches, we're second in the table on 13 points, with four wins under our belts. So far, it's all in keeping with my plans. "I was proud to play for Dortmund. The fans there are superb." bundesliga.com: You've featured in every game and have already scored two important goals, but have only played a total of 60 minutes. What makes you hopeful that you'll make the step up from substitute to starter before long? What has the coach said? Schieber: In six months, I've made six appearances. My main objective is to play every game - whether that's as a substitute or from the start. I get positive feedback from the coach. He can count on me. I know what I have to do and how I can help the team when I play. bundesliga.com: What can you achieve this season? Scheiber: I find it difficult to make those kind of forecasts at such an early stage in the season. We're trying to collect as many points as possible. Then we'll see what that's enough for.